So much time is spent defining intricate social strategies across owned social channels. But there are certain branded elements that receive minimal attention that can significantly amplify these efforts. 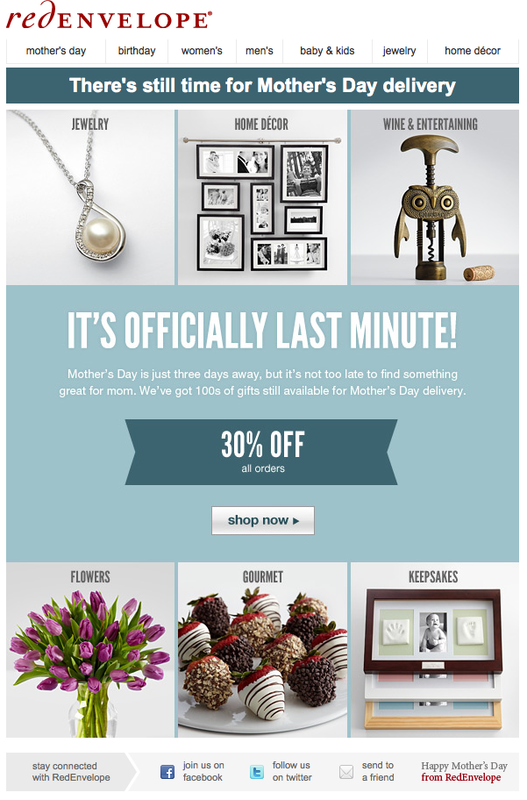 One such item is how organizations incorporate social elements into their e-mail marketing campaigns. This is relevant as organizations that leverage both e-mail marketing & social channels tend to receive better results for their campaigns according to a report from Vertical Response. 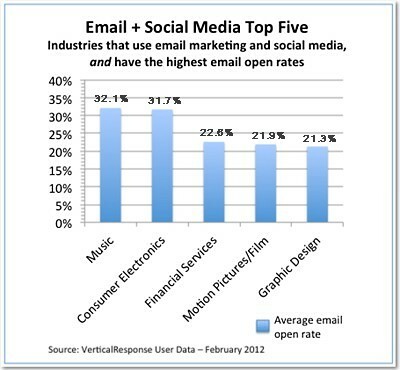 This strong correlation can be further amplified by fine tuning the social enablement of the actual messaging. 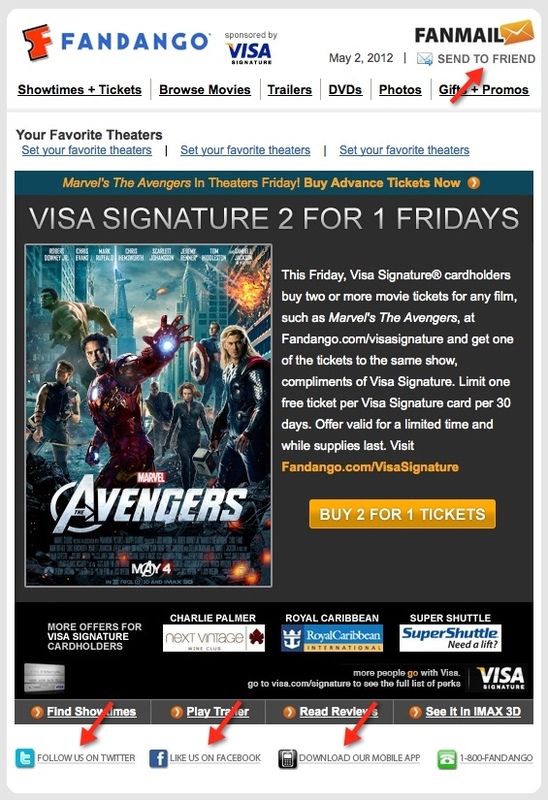 If you review branded e-mail marketing campaigns you will see inconsistency in how social sharing is enabled. The goal should not be to drive awareness that the channel exists, but to create frictionless sharability of the content and in some cases to also provide relevantly targeted messaging based on the users social graph data. 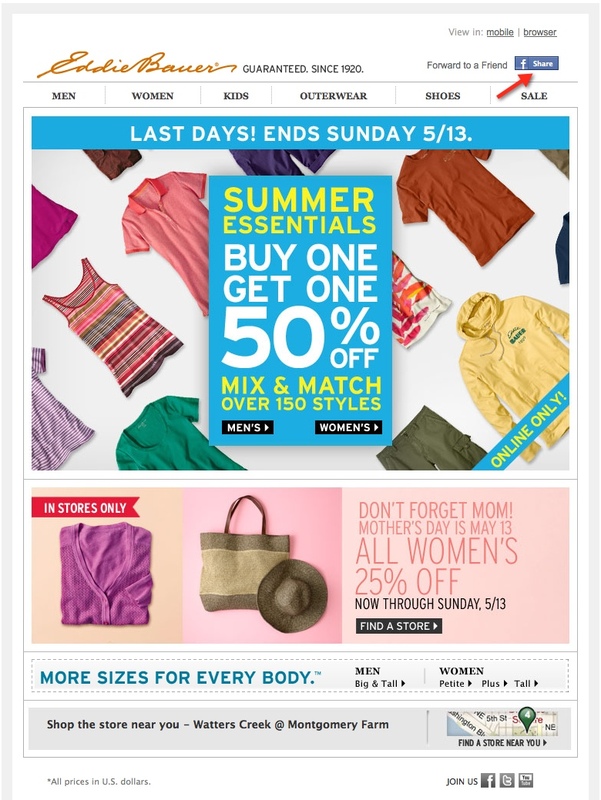 There are multiple buckets that brands across multiple verticals fall into when representing social connectivity via e-mail. 1) The Social Chicklet – Many brands follow the rule of just adding a socially enabled chicklets to the top or bottom navigation of communication. While paying homage to the brands owned channels, the actual engagement on this style of placement is lower than other methods. 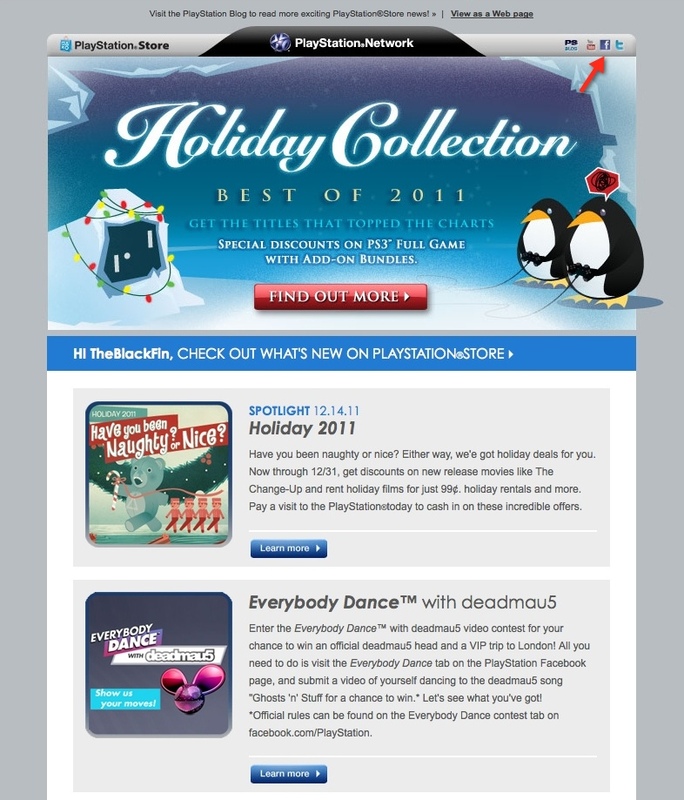 Playstation as well as a majority of brands that reference social channels in this manner go with the approach of simply providing visibility into the fact that their channels exist. There is however a missed opportunity to share the message itself or specific content segments that are worthy of sharing. 2) The Social Call Out – The second level of integration takes the social chicklet & applies a direct call to action that is specific to the desired channel. This at the very least calls out to the user that a certain action needs to be taken that may drive additional value to the user. 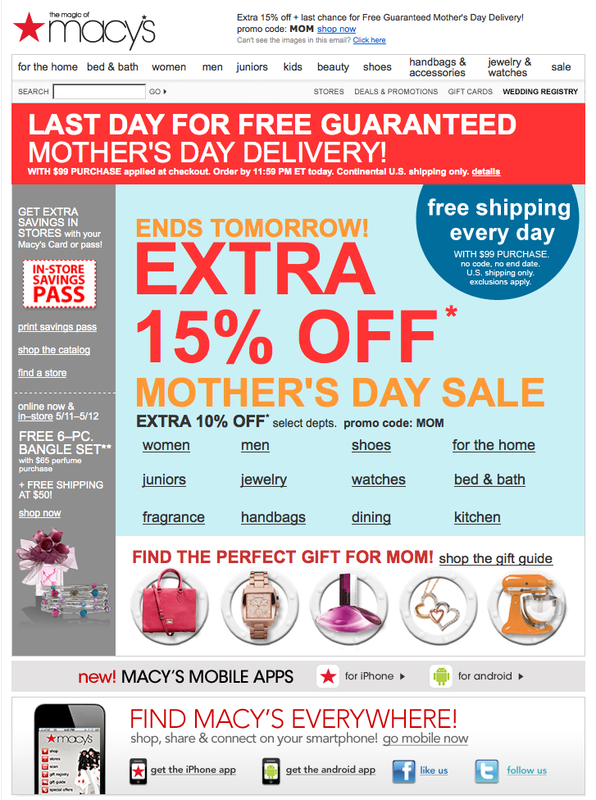 Here are other examples from Eddie Bauer which leverages the facebook share call to action, Macys & Red Envelope. 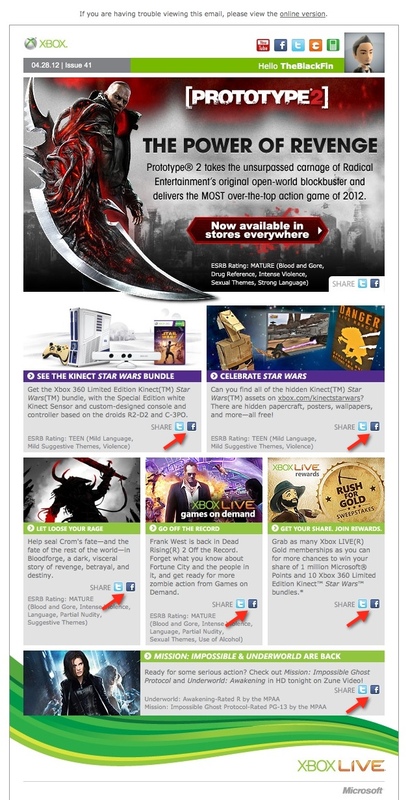 3) Socially Enabled Content – Xbox deploys a strategy that not only calls attention to their specific channels but also the ability to directly share the content of the e-mail, they also take special care to socially enable each individual content block for maximum sharability. 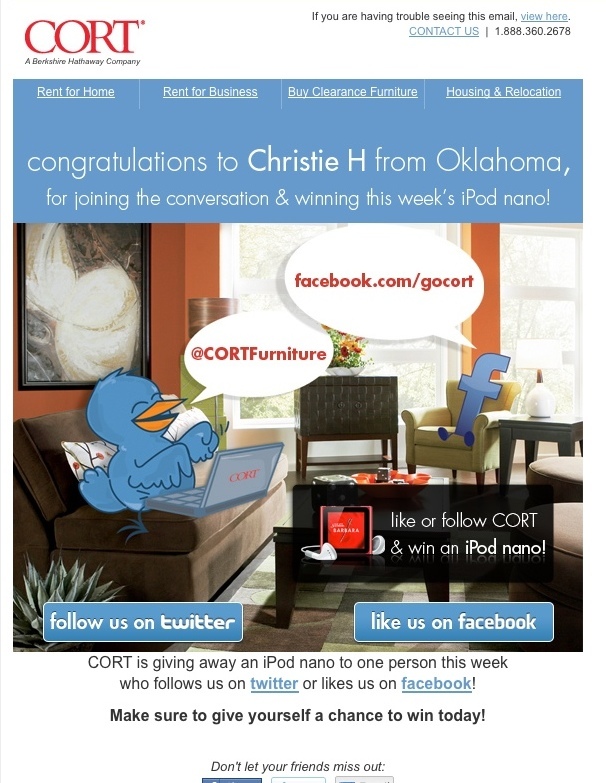 Below is an example from CORT that highlights an individual receiving value and drives a targeted message about a potential value exchange from engaging via their social channel. 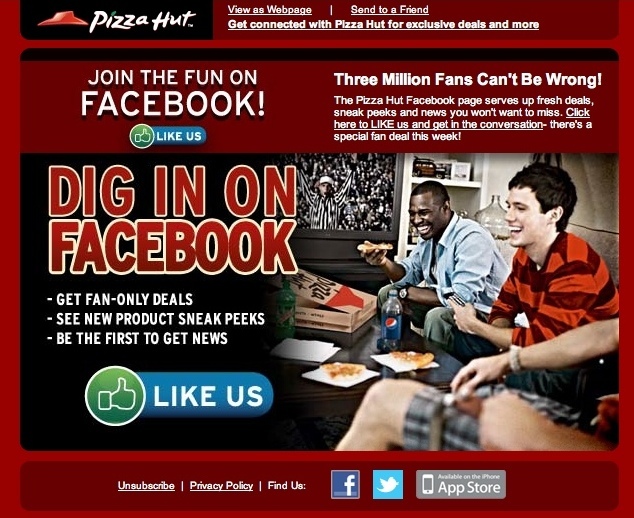 Pizza Hut dedicated an e-mail message touting the value of becoming a member by leveraging their current network size, teasing with potential exclusives. 5) Socially Relevant – One of the bigger opportunities for brands is associated with the adoption of social sign on & leveraging open graph data to drive highly targeted recommendations and communication. In my recent post I wrote about the benefits of social sign on and open graph. 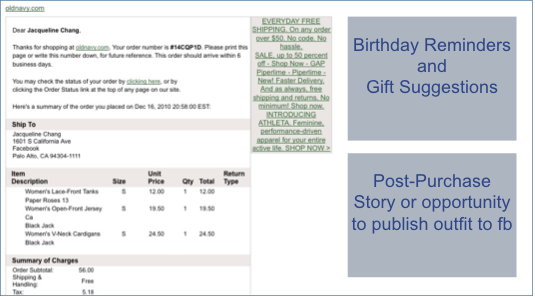 From an e-mail standpoint, the ability to pull in relevant open graph elements to further drive socially enabled gifting, such as birthday reminders and socially optimized wish lists come to forefront. These principles can then be applied to driving socially relevant and targeted messaging to drive a user to take action on behalf of either themselves or their closest friends. By taking the time to consider how to truly socially optimize e-mail marketing, a brand can truly capitalize on the permissive nature of their users to share their content vs. vaguely eluding to the fact that the brand has social channels. 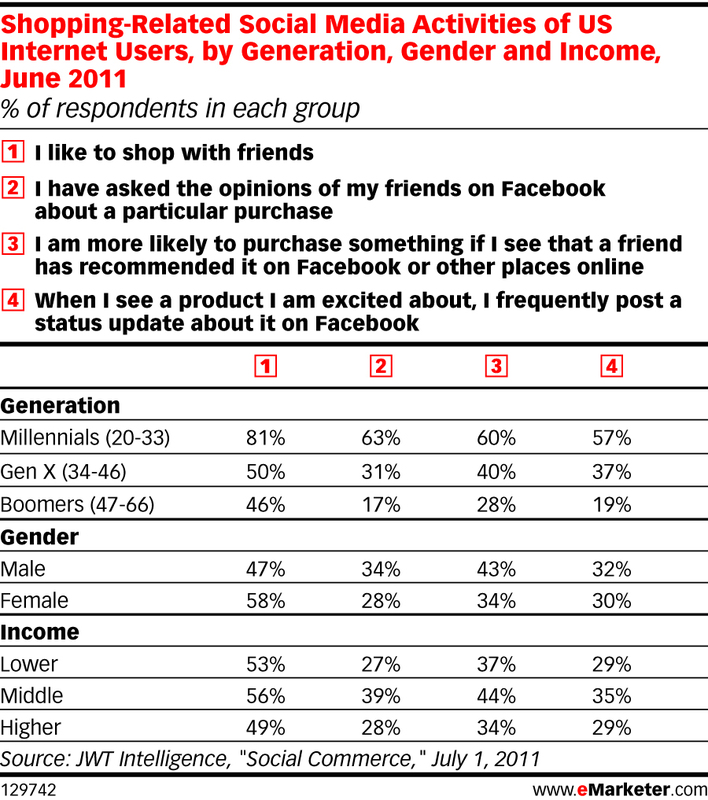 On a final note, socially enabled sharing when it comes to retail shopping experiences are key across the prime millennial & gen x targets when it comes to point #3 below.